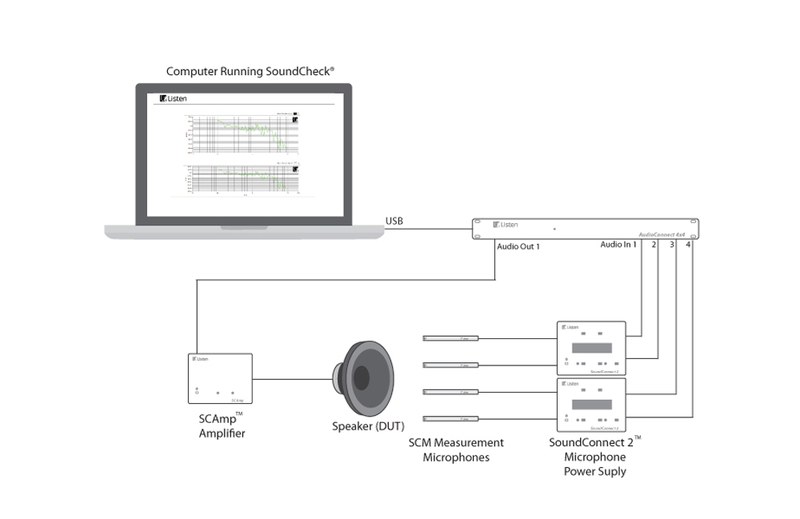 AudioConnect 4×4 – Listen, Inc.
AudioConnect is a 4-in, 4-out, high accuracy audio interface specifically designed for audio testing. Part # 4051: AudioConnect 4×4 – Four-channel analog and digital, USB interface, 24 bit, 192 kHz – 115 Volt. Cables not included – select cable 5912 TRS or 5913 XLR and add to order. Part # 4052: AudioConnect 4×4 – Four-channel analog and digital, USB interface, 24 bit, 192 kHz – 230 Volt. Cables not included – select cable 5912 TRS or 5913 XLR and add to order. Part # 4053: AudioConnect 4×4 – Four-channel analog and digital, USB interface, 24 bit, 192 kHz – 100 Volt. Cables not included – select cable 5912 TRS or 5913 XLR and add to order. Additional cable required for digital I/O. Please contact your sales engineer for information.